Can you post a video here with that? https://youtu.be/B4uzIE1Q6n4?t=4m6s - 4:40 is when it really kicks in but it might be worth watching the stuff before that. Sorry I should have linked it the first time. It’s a neat little feature, it can probably be expanded on as well. Is it any specific on this that you like? selecting several edges that grows to ring are already in blender and a lot of other selections, but my plan was to create some kind of menu related to Smart select where a bunch of selection tools are included. I’d like to be able to use the numpad+/- instead of the wheel, since I don’t use the mouse (pentablet). Well the pattern selection is when you can select every other face in a loop and continue that pattern around, I don’t know if you missed it or I grabbed the wrong time stamp but that was the main thing. If this could be expanded to say have more intricate selections done. Like creating a star selection and have that loop around in the best way possible, that would probably be pretty cool. previewing the pattern could be done automatically as well, so rather than using blenders shortcut for edge loop it can be a quick shortcut key to automatically have the pattern highlighted as it’s being done. ^ A better video. Not modo but what modo can do. 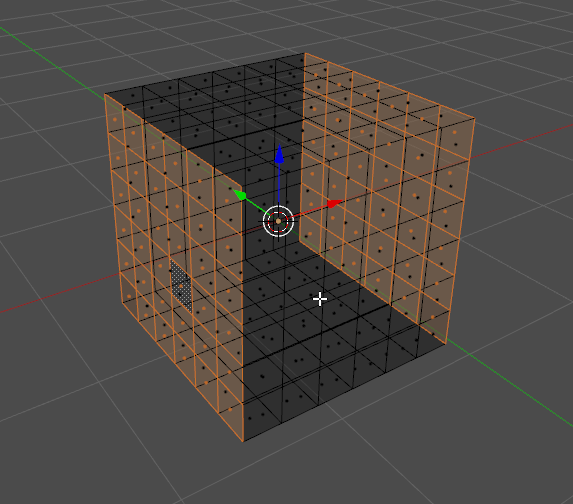 Sometimes blender crashes selecting face loops, in different scene. It will be nice to have the possibility to select the circle. Indeed, Blender’s lack of ability to select obviously contiguous loops around tri-poles is one of my biggest complaints about the loop-select tool. Unfold3D solves this with a really great min/max angle setting. Completely agree, i will try my best to solve this but my guess is that it,s a lot harder than it looks. Thanks for the feedback! Okay Version 1.1.0 is here! The value of the angle will be display in text on the screen for clear graphical feedback. There is also a lot of options where you can change color,size,placement etc. Excuse me, Is there a way to achieve multiple choice by to press Shift key? Similar to the following. You press Shift + alt, you can change those keys in the preferences. 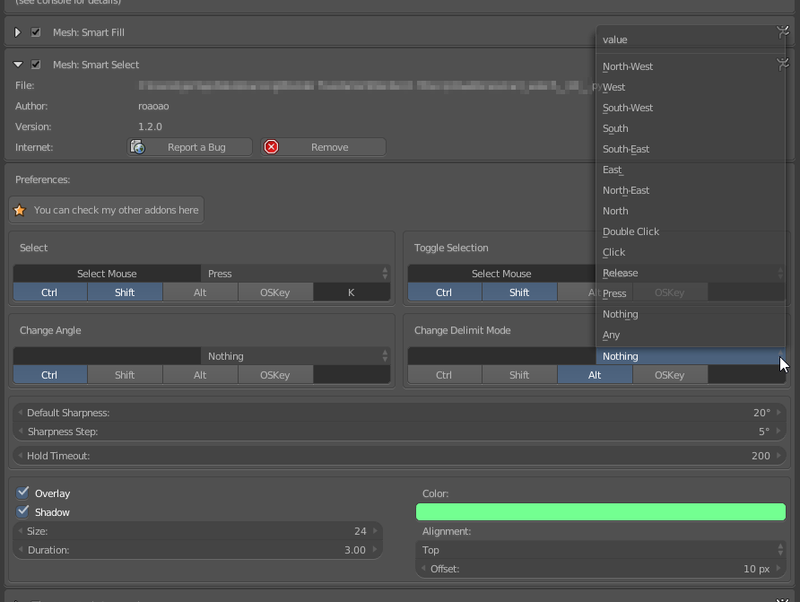 Be aware of when you add more selections it will toggle so you may have to click shift+alt two times. Let me know if it works for you. When I first press Shift + Alt will cancel before the choice and choose a loop, and if I press again then will choose the side faces at mouse. Now I can not choose more than one loop, unless the closure of the addon. I just updated to version 1.1.2, this Version lets you add more selections, hope you like it! If you follow me on my Gumroad page you should get the updated file in your mail soon. Thanks for the feedback! Delimit now works with all selection modes, press ALT and hold RMB to select inside of old selection. 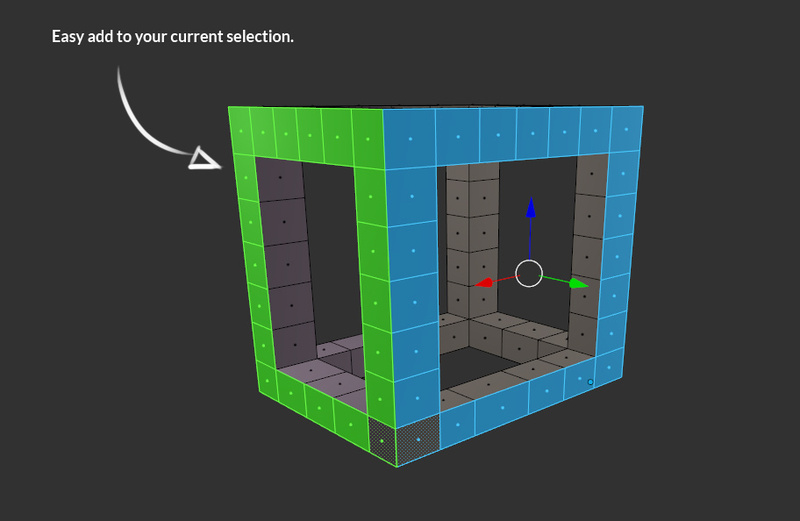 A new selection fill tool has been implemented! Glad to see this getting updates and support, and I’m looking forward to what else you come up with! This add-on is top notch! (top notch). Thanks for the Feedback, what version are you using? what happens if you click in the blank area left of the lists and just scroll your mouse wheel? I forget to write this, be sure to uninstall the old version completely and just install this new one and restart Blender. ctrl/Altl+middle mouse wheel is the whole idea with all od my addons, but as you know i really think that users should have the options to do whatever they want so i will make sure to fix this.